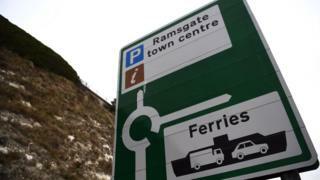 The government has axed its no-deal Brexit contract with a ferrying corporation which had no carries, after the Irish corporation backing the transaction attracted out. Transport Secretary Chris Grayling had faced denunciation for the PS13. 8m enter into negotiations with Seaborne Freight, which the BBC acquired “ve never” guide a ferry service. The government said it is in “advanced talks” to find another ferrying firm. But local MP Craig Mackinlay said this could be the “last throw of the dice” for business ship from Ramsgate. Meanwhile, Labour has called on Mr Grayling to resign or be sacked, describing it as “the worst secretary of state ever”.